FRAMED PRINT. 22x18 inch (56x46cm) Framed Print with Black Satin with Off-White Digital Mat. Artwork depicting PROPHECY/BARTON. Elizabeth Barton (known as The Maid of Kent) prophesies doom for England as a result of Henry VIII s break with Rome, for which he has her executed. Professionally made to order in the USA. 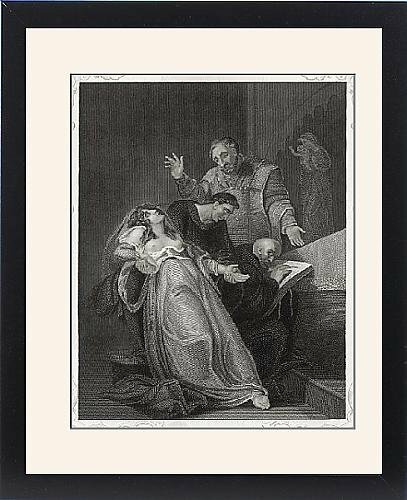 Artwork Description... Elizabeth Barton (known as The Maid of Kent) prophesies doom for England as a result of Henry VIII s break with Rome, for which he has her executed.